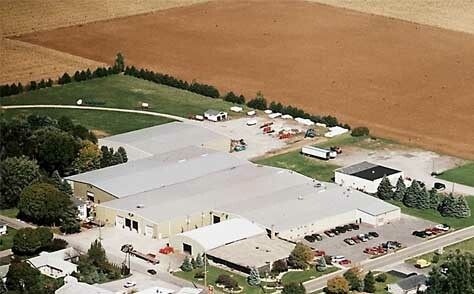 Clark Agricultural Division of Clymer Coulter Enterprises, established in 1937 has grown into an international supplier of quality commercial fertilizer application and farm equipment. The 11 acre Pandora, Ohio site includes a modern 150,000 square foot Clymer coulter tillage manufacturing facility and agricultural equipment assembly operations. Clymer Coulter blades and coulter assemblies are the reliable choice in the farm equipment industry. Coulter injection systems for fertilizer and knife injection systems offer in-stock coulter availability as well as special order and custom coulter tillage applications. All Clymer Coulters and Clark Agricultural products are heavy-duty with minimal maintenance. High-quality ductile castings with nylon bushings at pivot points make life easy with no need to grease. Special seals on coulter hub assembly prevents water and fertilizer from getting into bearings. A wide variety of coulter stream injection and knife fertilizer injection systems are available as well as utility coulter blades of all styles. Clymer Coulters mount on most implements and tool bars no matter what brand of farm equipment. Coulter Clamps and fastening hardware are available for most farm equipment manufacturers. In 2006, the Clark agricultural division of Clymer Enterprises was purchased by UNARCO Material Handling, Inc. UNARCO produces pallet rack and storage solutions for distribution centers and warehouse style stores. Assembled in America, Heavy-duty spring loaded stream injection systems for coulter blades make commercial fertilizer application reliable planting season after planting season.